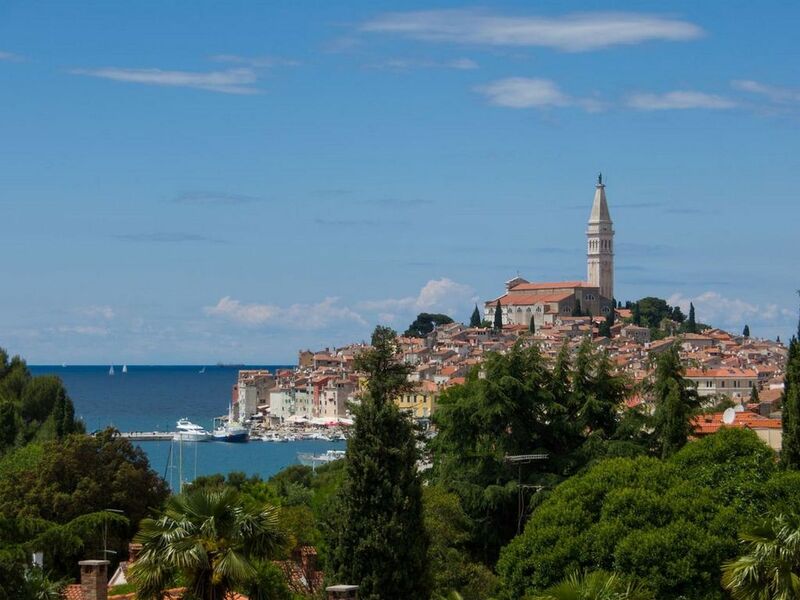 Modern and luxurious apartment with a big balcony with a nice view over the old town and sea. It's situated 5 min walking from the center and beach, in a peaceful area, close to local 5 star hotels. Recently renovated and redone with quality furniture, along with new equipment and house appliances, we hope it will please your taste. The kitchen is equipped with electric stove, microwave, fridge, electric kettle and normal one, filter coffee machine and italian moka for preparing espresso the italian way. Dishes and utensils included. In the living room you will find a nice and comfortable sofa, which can be opened, an lcd tv with terrestrial and satellite reception with the most usual channels, and a stereo system. You have also available internet wi-fi network in the whole apartment and balcony. The bedroom is cool during the nights and has an air conditioner. From the living room and kitchen the city view will surely catch your eye, while the terrace will offer you an intimate place for enjoying the morning coffee or breakfast. Also, the terrace is perfect for enjoying the evenings, there is almost no light from the street so you can enjoy in complete privacy and enjoy the view over the city center. For guests arriving in spring / autumn, important info - air conditioners heat the apartment very fast, no fear of being cold. Blankets are provided, and stored in the closet. In the bathroom we have an electric heater too. Your reservation includes a free parking spot inside the yard, at the back side of the house. Please park on the right side, so there's space for a second car on the left.